 DENVER (October 17, 2017) – DaVita Medical Group, a division of DaVita Inc. (NYSE: DVA) and a leading independent medical group in the United States, is encouraging Medicare beneficiaries to review their healthcare coverage during Medicare’s Open Enrollment Period (October 15 through December 7) to ensure they select a plan that will meet any changing health needs, allow them to see their preferred primary care physicians and specialists, and includes coverage of prescription medications. According to 2017 Deft Research (Medicare Age-In Study), the top reason for considering any plan is access to doctors, which is an increasingly important factor for patients.1 The seven-week Open Enrollment Period allows beneficiaries to reevaluate their existing coverage, including their health and prescription drug plans, recognizing that covered physicians, benefits and premiums may change from year-to-year. Healthcare policy changes are to be expected. Consumers should know that while America’s legislators are considering changes to national healthcare policy, it is important to know that any legislation that is passed will take time to be implemented and will likely not impact Medicare coverage during 2018. New Medicare cards are coming. In order to protect Medicare beneficiary identities, Medicare is issuing new cards between April 2018 and April 2019, which will have a new Medicare Number that’s unique to the individual, instead of their Social Security Number. The new Medicare cards will not change your coverage or benefits, and there is no charge for the new card. Your health needs may have evolved. From year to year, it’s likely that your needs may change, whether you received a new diagnosis in 2017 or are expecting to need a specialist after speaking with your primary care physician. By assessing these changes, evaluating which physicians are in your network and anticipating needs in the upcoming year, you can ensure that you have the coverage you need and deserve. Your plan may change. 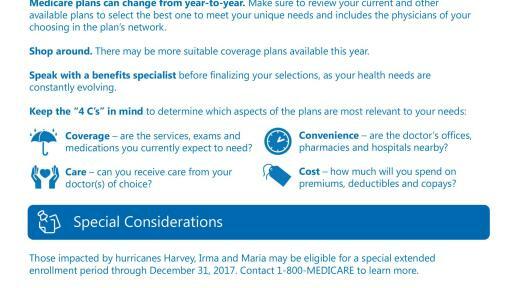 The coverage of your Medicare plan, from physicians and prescriptions to copays, may change each year, along with the plan’s premiums. To make sure that your plan meets your unique needs, medicare.gov recommends reviewing the materials that your plan sends you, such as “Evidence of Coverage” (EOC) and “Annual Notice of Change” (ANOC), and comparison shop with other Medicare plans who are competing for your business. Convenience – are the doctor’s offices, pharmacies and hospitals nearby? Overall the most important reason to review your Medicare plan is to make sure you’re getting the coverage you need and deserve. According to Pew Research, seniors are online multiple times per day and mobile connectivity is up to 42%2, which is why there are plenty of online resources available to help you through this process.